AU students performed ECG screenings on 200 student-athletes during the “Young Hearts for Life” event. 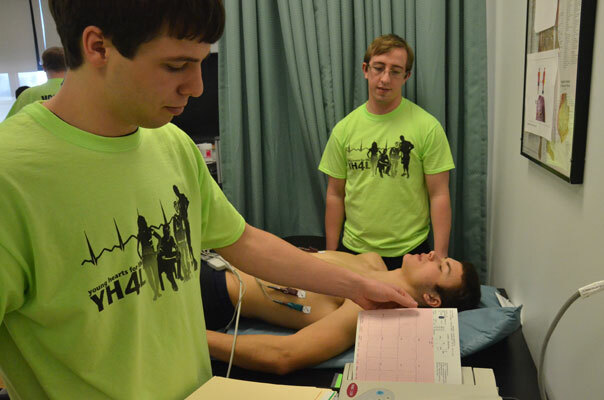 The Aurora University Department of Health and Human Performance, Wellness Center and Athletics Department kicked off American Heart Month last week by offering “Young Hearts for Life” electrocardiogram (ECG) screenings to AU student-athletes. The screenings test for problems with the electrical activity of the heart and were conducted by current students in the Department of Health and Human Performance. The program was mutually beneficial as students gained practical, hands-on experience by administrating the screenings, and student-athletes gained crucial knowledge about their cardiovascular system through the free testing. Following the event, the ECG results were sent to Dr. Joseph Marek, founder and medical director of the “Young Hearts for Life” and cardiologist at Advocate Medical Group, to be analyzed. Briana Lakebrink, a sophomore softball player, was among the 200 student-athletes who participated. “It would be beneficial to know if there was an issue with my heart, so I could be more aware,” said Lakebrink. As an athletic training major, Lakebrink wanted to experience the event first-hand as a patient and hopes she can volunteer next year. Moving forward, AU faculty and staff hope to offer the ECG screenings each spring. 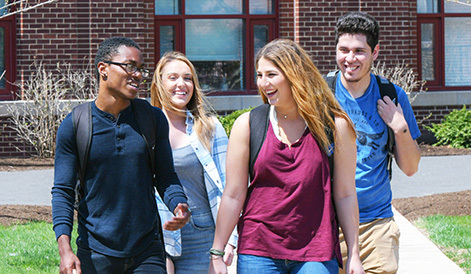 “If you can catch one student with a congenital heart condition, you may have saved a life,” said Oscar Krieger, program director and associate professor of athletic training.